When Realm Royale launched in June this year it surprised everyone – not least its developer – by shooting to a peak of more than 100,000 concurrent players. Hi-Rez Studios’ take on the battle royale looked like it might prove to be an effective third giant in the genre, knocking shoulders with Fortnite and PUBG. It wasn’t to be, however, as 75% of the game’s original playerbase had moved on by the end of July. As the summer drew to a close, the concurrent player count had fallen by more than 90,000. While Fortnite continues to grow, and with major games entering the battle royale scene – including Call of Duty and Battlefield – Realm Royale stumbled to a peak of just over 2,500 players in October. During the keynote presentation at Hi-Rez Expo last week, Realm Royale brand director Rory Newbrough admitted that the team had been “blown away” by the initial response to the game. In an interview afterwards, however, he hinted that the level of success achieved so early in the game’s life may have been exactly what contributed to its downfall. 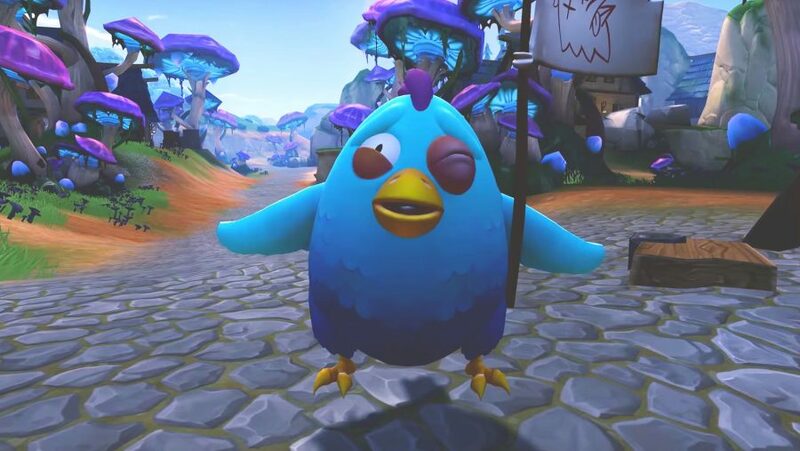 Realm Royale began life as Paladins Battlegrounds, a new game mode for Hi-Rez’s hero shooter, which saw its cast of characters ported to a team-focused battle royale. It didn’t take long before the Paladins branding was dropped in favour of a more general fantasy setting, though. Newbrough cited plenty of reasons for those changes – among them is that Paladins’ classes made for a very stringent meta, while those different roles meant that sharing loot didn’t work. Most importantly, Hi-Rez quickly found that Battlegrounds split the Paladins playerbase between those who wanted a traditional hero shooter and those who wanted to play battle royale. But Realm Royale’s immediate success came at a cost. “We were in an alpha state, we weren’t really prepared for the engagement,” Newbrough says. The problem was that Hi-Rez was still in the process of working out exactly what the game was going to be. “We spent a lot of time on game design, a lot of time on what made the game what it was. Iterating heavily on that will usually turn players off, because the game’s changing so much they can’t keep up,” Newbrough says. We definitely got a lot of eyes on Realm Royale, but the double-edged sword is that it wasn't ready for that many players. The biggest issue is that the core of the game was changing significantly, but there was nothing to keep players coming back. No new content was released for the game in those first few weeks and that put it in stark contrast to its closest competitor. Fortnite churned out new weapons throughout June, a month in which its fourth season came to an explosive end, with a new map and a host of changes coming in for Season 5. There are still positives to take away from the dramatic rise and fall of Realm Royale. So many players meant that plenty of attention was given – however briefly – to the game. “We definitely got a lot of eyes on Realm Royale […] but the double-edged sword is that it wasn’t ready for that many players, so we’re having to work that into our strategy as we go into next year,” Newbrough says. It seems as though Hi-Rez has managed to stem Realm Royale’s bleeding. Player counts may now be back on the rise, and Newbrough is confident that this time around the team is better prepared to serve them. The alpha state was defined by massive iteration and balance changes, but the move to a PC beta, as well as a console release, is expected very soon. That means more time spent polishing the game, improving quality of life, and finally adding the new content required to grow a returning playerbase. 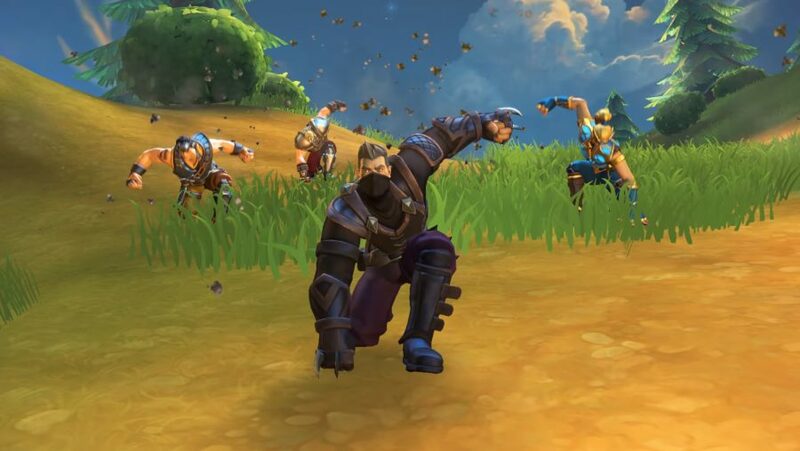 Newbrough puts Realm Royale’s initial success down to it coming across as “a breath of fresh air,” the first major title to challenge the first giants of battle royale. Now, however, there’s a lot more competition. Call of Duty’s Blackout offers a more class-based approach while Battlerite Royale means that Realm Royale is no longer the only fantastical take on the genre. Newbrough doesn’t seem too concerned by the competition though. “It’s hard for any game to maintain [Fortnite’s] level of success forever,” he says. “As long as each game is different, everyone’s going to prefer something different.” It now just remains to be seen whether Realm Royale will be able to set itself apart from the crowd once again.